Thank you all for following and subscribing to my blog and YouTube channel. I am so grateful and appreciative of your support. I made my first YouTube video last March and now, thanks to all of you, this blog has over 1,750 subscribers and followers and over 115,000 hits! I am so thankful and blessed. To celebrate, I thought I would do one large giveaway to be announced Monday January 24, 2011. A special thanks to SVG Cuts for sponsoring a gift card and to The Memory Trail (come visit their brand new store in Helena, MT) for sponsoring a number of terrific items that you will see in the video! Please watch the video to see all the items for the giveaway, including a Cricut cartridge and more. To enter you need to be a subscriber/follower of my blog or a subscriber of my YouTube channel. You can sign up over on the left side of this blog if you are not there already. Also be sure to leave a comment on this post or any of the posts this week. Please only comment once per post, but for more chances to win, be sure to comment on every post! The winner will be announced on Monday January 24, 2011. Thanks again for being the best supporters ever! Congratulations on all your subscribers and hits and thank you for doing such an awesome giveaway. I'm a subscriber to your utube channel and have just become a follower of your blog. Thanks so much for the chance to win. Love your creations. WOW, I just found your youtube channel while searching for Cuttlebug videos and then I found your blog. Thanks for having the giveaway. Very talented, Thank you for sharing your creations. 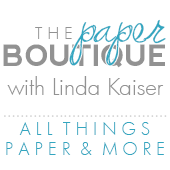 Linda: Congrats on the many other folks who have found your blog and become subscribers. We are the ones who are BLESSED to have such a talented person we can count on to give us amazing video's and information on "how to". Your giveaway is AMAZING and would be thrilled to win your Thank You Celebration Giveaway. Keep up the good work-LOVE YOUR BLOG! Wow! These prizes are amazing! They would certainly help me continue to learn about cardmaking and now I am going to take up scrapbooking as well. Thank you! Congratulations to you on such a milestone. You are so creative and inspiring, I look forward to my daily visits and to your post on the "circle" MB. Wow, What an amazing giveaway. But I must say congrats on your numbers - that's great progress for not quite a year - good for you! I am quite a new follower, but you are now one of my favorites. Thanks! Thank you for a chance to win this wonderful prize package. When you said you were so ready for Spring so am I.
Linda your blog is great and I just love getting your Emails..You are inspiring and I have learned a lot from you. Thank YOU! See you in the circle. A big congrats to you and what a wonderful way to celebrate! I think the numbers say it all - you are one talented lady ;). That is a great give a way and I am sure the winner will be so happy. You are such an inspiration! And you make everything look so easy as well. Many thanks for all your efforts. Congratulations on your milestones! Congratulations on your success!!! I will go become a follower. I have been reading your blog for a while now, but it is just in my list of favorites that I visit each day. Linda, your videos are so informative. 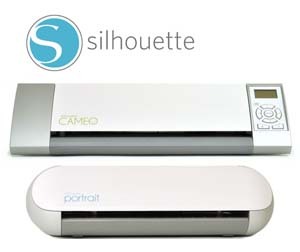 I want to learn every thing I can about the Cricut and Cuttlebug! Thanks for sharing. Congratulation on your hit, I really enjoy your videos, thanks for share. A big shout-out to you for your success!! Thanks for sharing all of your wonderful ideas. I look forward to seeing much more. Also, thanks for a chance to win. Thanks for sharing your talents and creativity with us! congrats on all your followers. Your blog is great. I love all your videos and learn so much. Thank you for all the inspiration you give us. Congratulations, Linda!! How exciting. I've been enjoying your videos since yo started making them.I am a follower and a subscriber to your email and youtube. You have helped me immensely. Thanks for the chance to win such a wonderful prize. How exciting for you and for us. Always love to see your work and enjoy all the information. Thanks for being out there. Thanks for sharing all of your cool ideas and putting together a great giveaway! CONGRATS! I am a follower and subscriber. Thank you for all you do for us. I love visiting your blog. WOW what a great giveaway. Thank you for doing this!!!! Keep up the great videos and blog. Love your work! What a way to celebrate! Congratulations on all of your success to date and in the future! Thank you! Thanks for a great chance. Love all your videos. What a great giveaway! Congratulations on all of your accomplishments. Thanks for the chance to win. I am a subscriber to your blog and your youtube channel. Have a great day! Great giveaway, can't wait to see who the winner is :0) Good Luck every one! Thanks for an opportunity to win all the the awesome prizes. I am a subscriber to your blog and visit daily. Congrats on all your Subies i'm already a follower and visit your blog daily. Thanks for giving me a chance at this awsome goodies. Congratulations, Linda! How exciting for you! Congratulations, subscribers know a good blog and appreciate all your great work. Your giveaway is really awesome and I would love to be one to be able to create with such great products. Thank You for all the great info and inspiration that you give in your blog &videos...I have learned alot and I am sure there will be alot more for me to learn in the future!!! !Thank you for all you do for us !!! Thank you for sharing your wonderful talents and congrats on your milestone!!!!! And Thank you for this awesome giveaway...a great way to get started on my projects!!!!! Wow! These are fantastic prizes!! It is no surprise that you have so many followers! You do awesome work!! Thank you for sharing your wonderful talent. Congrats on your success!! I thought I was already a follower ('cause I LOVE your videos!) but I apparently wasn't, but, now I definitely am. Thanks for the chance to win such a great prize...I've got my fingers crossed!! Congrats on your blog! Awesome prizes you are offering! Congratulations to you on all of your followers and subscribers. You are quite deserving. Your work is phenomenal and I always look forward to your videos. I appreciate all that you do and you are an inspiration. Congrats! I found you on youtube, and came over to check out your blog. That's quite a big give away. I wish I lived out your way, I'd love to go into the store! I support my local as much as I can. As I think we all should. Talk about being generous! This is a wonderful gift for your scrap lovers! We are blessed to have you! I love your site. You do such a great job! Thank-you for all you do for us! what a awesome give away and cong. on all your subscribers. I follow yout blog & you tube. Congratulations on your subscribers and blog hits! I have been following your blog through Google Reader and I just love all your ideas! Thanks so much for a chance to win all of the awesome goodies! Awesome to reach so many subscribers!! I have been enjoying your videos for some time but just became a follower!! Keep up the great vidoes. I'm learning from them. What a fantastic giveaway! Congratulations on your success in the land of blog! Looking forward to continued inspiration. Thank you. I am a follower. Love it! Would love to win the blog candy. I have been a follower for a while and just now decided to become a subscriber by email so that I won't miss anything. Congrats on all your followers and hits!! Wow!! Thanks for the chance to win. How exciting for you, Linda! I already feel like such a winner for having found your blog. I really have learned so much through your videos and blog. Thanks for all you do - and congratulations on your success!! PS I've been a follower for a bit now, but didn't realize you also had an email subscription option. I've just signed up for that so I get updates right away! I think you are special too. Holy cow, what a great give away. Love your blog, great ideas. come by and say hi. Congrats all the subscribers and followers. Congratulations on all your subscribers. That is an awesome giveaway. I love SVG cuts they have excellent files and tutorials on their site. Congrats Linda. You are so talented and I love your videos. I've been a follower for some time now, but just recently officially "followed". Continued success! Hi Linda! Congrats on all the hits and followers! What a great accomplishment. I visit your blog every now and again but, I didn't sign on as a follower because I have signed on with so many! However, today, I became a follower! You are just too, too, kind to be giving away such a huge gift! This would be great for a beginner to win, too. Thanks so much for your generosity! God bless! CONGRATULATIONS!!! You deserve all the followers and subscribers because you share so freely with us! It's easy to be a follower/subscriber when you have such a gracious hostess! I posted your link on my Facebook page because I teach Cricut classes too and tell my students (who are in a different town than I am) about blogs I follow and why! I hope you get many more followers/subscribers!! Thanks for the huge giveaway! Congratulations!!! I always love learning from you. Congratulations!! Thank you for the chance to win! Congrats on your subscribers and thank you for the wonderful chance to win in your give-away! You have some awesome items in it! I just subscribed to your blog newsletter, but I love all of your creations! Congratulations for an awesome year. I have really enjoyed your turorials and learned so much. Wow...i love your site, you have some GREAT ideas and information. Although I've been scrapping for years, I've never really left my comfort zone - your site will help with some ideas, that's for sure! Congratulations! Wow - what an awesome giveaway - unbelievable!! I've been subscribed to you on YouTube for a while - love your videos. I am now a follower of your blog and a subscriber by email. Thanks so much for this wonderful opportunity to win. Linda I've been a follower for some time and you really have a lot of talent. This is one of the best giveaways I've ever seen. Congrats on your success, you truly deserve it for all your hard work! Congratulations!! Love your blog and your youtube videos!! Thanks for the opp to win!! I am a subscriber on youtube and just started following your blog!! Wow, Linda, over 110,000!!! Congratulations! I enjoy your blog and appreciate the work you put into it and your videos! Thanks! Love reading everything you post. You are so clever! Wow! What a super giveaway! Thank you for your wonderful blog and your great giveaway. Cangrats and WOW!!!! thanks for this wonderful opportunity. I will be watching. THANKS AGAIN!!! Wow Linda, congratulations on a great year of videos! I really love your work and visit you almost every day. Congrats on all of your subscribers and hits. Congratulations on all your subscribers! Have really enjoyed all your projects and videos. Such an inspiration! Linda what a generous give away. I love scal too. Thanks so much for taking the time to make such inspiring videos. Congrats! Thanks for the chance to win!! Congrats on milestone. What fantastic giveaways. Thanks for the chance. Congratulations! I have became a follower of your blog. Thanks for the chance to win such an awesome giveaway. Thank you Linda. You have great videos. They are very helpful. Congratulations on all of your followers! Love all of your creations. I'm a follower now, too! Signed up to follow, U Tube and email. Thanks for an opportunity to win a great prize. Your creations are great! Wow, what a great giveaway. i watch all your videos and have been a subscriber there for a while. I Congrats on having such a great year and certainly hope this new year will double your YouTube subscribers and blog followers. Thanks you for all you do for us. Oh my goodness. What a great giveaway. I would be so happy to receive this gift. What an amazing prize! I love reading your blog. Thanks for all you do, and for this nice giveaway to your readers! I am a follower. Thanks for the chance to win. I LOVe all the inspiration you give and creative things you make. YOU have been so great keep up all the good work!!! I love coming to your blog. Thank you for all the ideas and tips. WOW!! !, what a great giveaway. Thank you very much for all your videos and ideas. Happy New Year! How exciting. Thank you for all of the great projects and videos you have shared. Excited for the chance to win! Congrats to you and all your hard work!!!! I am a follower and as i can see you are very talented.. TFS all your crafty ideas with us! Wow that is some package of goodies for give away!!!! Congrats on yr sucess with yr blog & utube!!! congrats on the great news.Thanks for all the great ideas you share with us all and for this opportunity to win this awesome giveaway. thanks for sharing so much of your talent, i've enjoyed this year of learning with you and you deserves all the acolades, congrats!! I just became a follower today, but have you under my "Favorites" and have checked your blog every day for the last six months. You have given me so much inspiration and many ideas! Congratulations and thanks for the chance at such an amazing giveaway! I love your work Linda, it's Awesome! I'm brand new to your channel and now, your blog. Thank you! Hope I win! I just started getting your emails recently and love your creativeness. Thank you for the chance to be part of this moment and congratulations! Thanks everyone for all your kind words! Your support is sooo important to me. wow!! what an awesome giveaway form an awesome blogger!! I have been a follower for a while and am so inspired by you!! Thanks! Been a follower of your blog for a while now and just subscribed to your youtube channel!! You are always so graceful in your videos and I love to watch them!! Thanks for all the tips and inspiration!! Congratz on all your hits and the chance to win beautiful prizes! Just followed your link from the svgcuts forum - and WOW - you have some beautiful projects - can't wait to have more time to explore. I became a follower so that I can be sure to see all your new projects! Wow, this is a huge prize! Congratulations on all your followers and subscribers. I'm a follower of your blog and have learned many things from you. Congratulations on your success....I am so happy for you!! WOW! What a great giveaway. I follow you on youtube and just love your videos. Congrat's on all that you have acheived and all the followers!! I am a follower and just subscribed to your blog! What an Awesome Giveaway! Love your Blog!! Fantastic to have so many people who love your channel. You know your videos must be wonderful to have so many people....just like me! I follow your YT your blog and subsribe to both. Pink~a~licious Hugs, Jonnie from YPP! Congratulations! I so enjoy your blog, and your videos! I wish you continued success, and look forward to more outstanding inspiration! Thank heavens for technically talented people like you, who are also creative. You have helped a new card maker SO MUCH !! Oh Linda, I loved your video. You are so photogenic too. Thanks for all your creativity. Yours is the best crafting blog I have EVER watched! Congrats on all your subscribers, what a great celebration for you. I subscribed on youtube as well so can't wait to see all your videos! ~Kelly @walkelmol on YT. I have learned so much from your site. I love all the videos. I would love to win your prize package. Congratulations! Thanks for the giveaway and for providing such helpful videos and links! Thanks for all the great videos. I have learned so many things from watching. Thanks for hosting a great giveaway. Congrats on your subbies and now i am following your blog. Thx for a chance to win ! CONGRATS on all you subbies. this is a wonderful giveaway.thanks for a chance to win. Congratulations on your numbers!! Thanks so much for all of your videos - I have learned so much from them. Congrats Linda on all your followers, you do such a great job with the videos and blog. Finally got into The Memory Trail's new store - love it. Wonderful blog candy. Oh yay i am a follower already. I enjoy your blog so much. I was able to subscribe to your utube channel too, and I'm excited about that. You have such a calm, organized presentation, I always feel inspired and confident after watching your tutorials. This has to be the BEST blog giveaway ever Lind.....Please count me in. Thanks for sharing all your amazing projects-ideas and tips with us. You are so talented and your videos are so informative. Thanks for the chance to win. I would love to win some of the Prizes that youare offering and very generous!! Thank You! and for the great giveaway! You are an inspiration! Love your projects. Congrats on all your blog / utube sucess!!! I love your videos... please keep them coming!! Also thank you for the chance to win just a fabulous prize package!! WOW what a great giveaway, love your work and thank you for the chance to win. I enjoy your blog and videos so much and look forward to your posts. Congratulations on so many followers. Wow, that is an awesome giveaway! I did not realize you are located in Helena, my sis and husband live there also! Congratulations on having so many of us following you, but it is not surprizing as you always have great ideas/tips/techniques to show us. Good luck with your Cricut demos, everyone who comes to the classes will be very fortunate. Thank you for sharing your time, talent and generosity. FaYou always do such a fab job. Congrats on all your subscribers. Thanks for the chance to win. Congratulations!! I saw your blog on My Creative Time's facebook page. So glad I decided to come on over! Beautiful stuff you have here. I look forward to visiting more often! I am just starting out and really love our site. You are so very welcome... it's me that is greatful for all you share!!! Gaby and thanks for the transperancy/rob-on tip! Congratulations! I found you through Tammy's site and I'm so happy I did! Linda congrats and thank's for a chance at the wonderful giveaway! I truly love watching your videos. I found you when you left a wonderful comment on my blog and became my first follower. Thank You!! I am a follower already and just subscribed to your email which I would have done a long time ago I did not realize you had that. Thank you again for sharing all your wonderful talent with all of us. Linda, first congrats on your sucess! I am now following your youtube channel and I am also a follower. I must say, I am really enjoying your blog and videos. I have been working on the card organizer and hope to finish it this weekend. I need to purchase some magnets and then I will be done. It is soooo cute! Thanks for the great directions. I can't wait to try other things you have posted. Such inspiration! Thank you! Congrats on the followers! I am a new one! Thanks for the chance to win! OK - I'm a newbie to Blogs. I didn't think I was computer illiterate but it took me forever to figure out how to make a comment. I LOVE THIS BLOG, so many great videos and suggestions. I like making cards and scrapbooks as well as other crafts. I joined You Tube also, but haven't quite figured that one out yet. Newbie here - I have made a couple of comments (I thought) but don't see them in the list. What am I doing wrong. I love the stuff on your blog. Thanks so much for the chance to win the giveaways. Congratulations on all of your followers. I really enjoy your creations. Thanks for giving us a chance to win. Congratulations! Love your blog. Great ideas. Congrats on all your success. You have wonderful ideas and creations! Wow, you have some great prizes and congrats on the subsribers. Congrats on your success and for the awesome giveaway!!!! WhooHooo!!! Woo hoo! I love a give-a-way!! Thanks! Congrats! I'm hoping my new blog will be as successful some day. Thanks for the amazing giveaway. please stop by my blog and follow me as well. I listed you as a blog i follow. maybe you cna list me as well. Wow, what a great year you have had.Thank you for the chance to win. I look forward to your emails with designs everyday. Just signed up to be a follower of your blog! Love your video about making your own rub-ons. Such talent! Congrats on the success! You have very nice projects. What a fantastic give-away! I'll be keeping my fingers crossed!!!!! Thanks for all of the time and effort that you put into your blog and videos. You are an amazing teacher for newbie Cricut owners. Would love to take your Cricut classes online from GA if you ever video them or go live with U-Stream. You're a blessing! came across one of your many wonderful creations on you tube( the expandable box)WOW! wanted to try this for a while now and after watching your great video, i will get right too it. So informative and staight worward, you explain it so well and make it look so easy.Thanks, and thanks again for the great giveaway.Im certainly following your blog!! I sugscribe to both and think you have a fantastic blog. thanks for the chaance to win such a great prize. Thank you for all your videos and blog posts! It really inspires me and congratulations on your subscribers! I have subscribed to your youtube with the name thatbasicscrapper, followed you, and subscribed to your email.